Brynn holds a B.A. 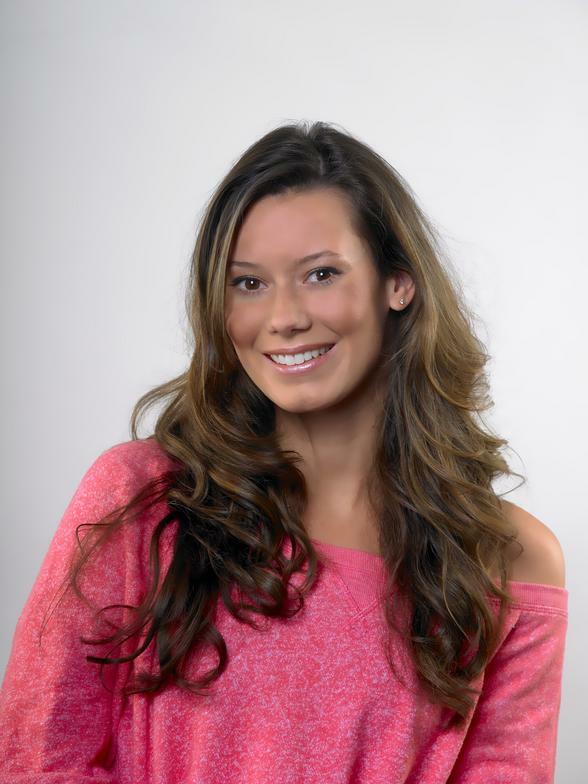 in Dance and is certified in Callanetics and personal training. Brynn's Barre None-Callanetics represents the best and most unique fitness methods that I am aware of. As a dancer I understand how important barre work is, and how barre technique can help you develop the long lean muscles that a dancer has. Callanetics is such an important part of my fitness classes because the unique methods were originally developed by former dancer (Callan Pinckney) who suffered from Scoliosis and severe back and knee pain. After dancing professionally and continuing to teach dance classes, I decided that the unique methods of Callanetics are very important for people to learn. Callanetics is so important because it is the safest form of exercise that I am aware of, and provides quick results. Cardio is also an important role in exercise. I have been so excited to fuse the concepts of Callanetics and techniques from dance to form a cardio routine, (Boomer Cardio) that is sure to get you in shape and feeling good in a safe and fun way. I have explored every avenue of fitness and truly believe that the classes I offer will benefit a person greatly, whether it is to gain strength, flexibilty and to tighten and tone, or to relieve pain due to back, neck or knee problems. Not only is Callanetics great for those trying to gain an edge in their athletic ability, but it is great for individuals who may be deconditioned, want to improve their range of motion, or want to strengthen their pelvic floor muscles that have become weakened due to child birth. Callanetics exercise puts great focus on strengthening our pelvic floor muscles, perhaps one of the most important muscles in our bodies. Our pelvic floor provides support for our organs that lie on it. When our pelvic floors become weakened, learning the Callanetics exercises will help you to regain strength in your pelvic floor in order to support and stabilize the spine, help prevent pelvic organ prolapse, and improve incontinence. This is only to name a few, however if these exercises are practiced correctly and regularly, one may be able to prevent the need for corrective surgery all while improving muscle tone. One will find themselves using their pelvic floors in everyday life such as lifting, driving, and simply walking. Truly a remarkable woman full of class, elegance, strength and beauty. Judy Mooser who trained under Callan Pickney herself, had battled her own physical limitations due to chronic back pain. Judy evolutionized the way we work out today. Master trainer, Judy of Callanetics recognized the importance of creating a work out regimen that was safe and effective for all, and she truly mastered this. Judy, a world-renowned teacher, trainer and role model of fitness, touched so many lives on a personal and fitness level. I, among so many others, am so grateful to have had the opportunity to know Judy and to learn from her. It is unfortunate that we don't have her with us now. She will always be here in spirit through-out our lives and in our callanetics classes. It won't be the same with-out her. She left us with a legacy that is truly unique and will forever live on.